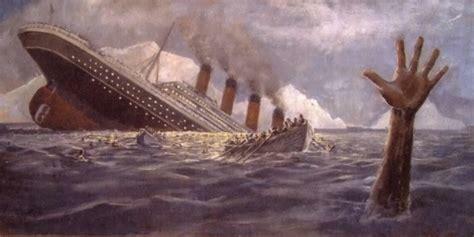 The RMS Titanic sank early in the morning of April 15, 1912, after striking an iceberg only four days into their voyage. Only 710 passengers out of 2,224 people on board survived. Here are just a few of their stories. 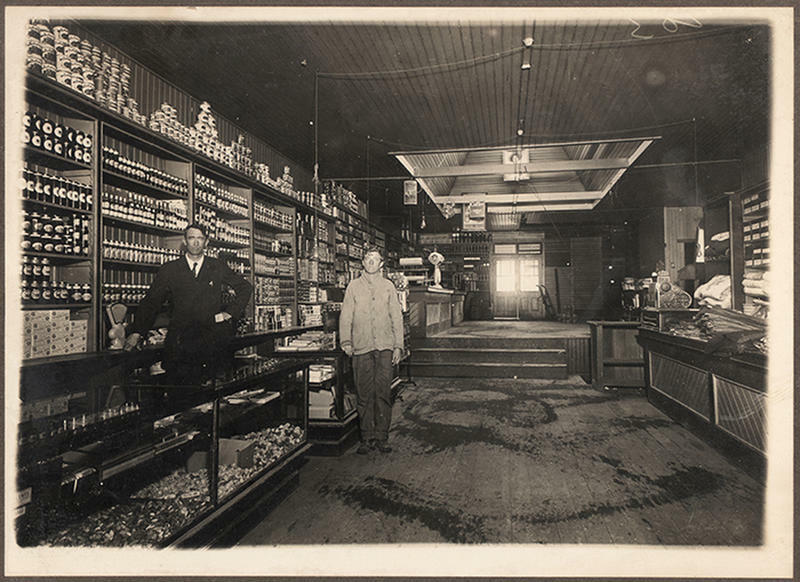 One of the worst disasters in history, and probably could have been avoided if better precautions had been in place. At the top of the list was spending too much money on the luxuries for the boat and neglecting to provide enough lifeboats and life jackets for the passengers. When people began to panic, there was pandemonium, instead of any kind of order. That is why the lifeboats that they had were not even full. Even though many lower class passengers died because they were left last to be rescued, many wealthy people died as well, because their wealth could not save them. Tragedy is no respecter of persons. Those who did survive, such as men who were cowards, had to live with their conscious. 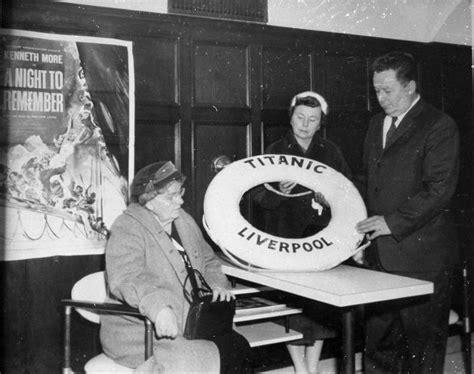 One of the survivors of the Titanic, Maude Slocombe was one of the Turkish Bath Stewardesses and was interviewed in 1957 about her experience. Her residence was given as living in London at the time and had a son as well as a husband, who was a bookbinder. In her interview, she said she was lying in bed at the time the ship hit the iceberg, and she heard a loud thud. Proceeding to get up and out into the passageway, she ran into the Second-in-command, who told her to get dressed and go up on deck. When she asked why he said he didn’t know. When she got to the upper deck, she said the crew appeared to be calm and “cheerful.” As she made an attempt to go back for her personal items, she came to a stop because of rising water and had to turn around and go back up. 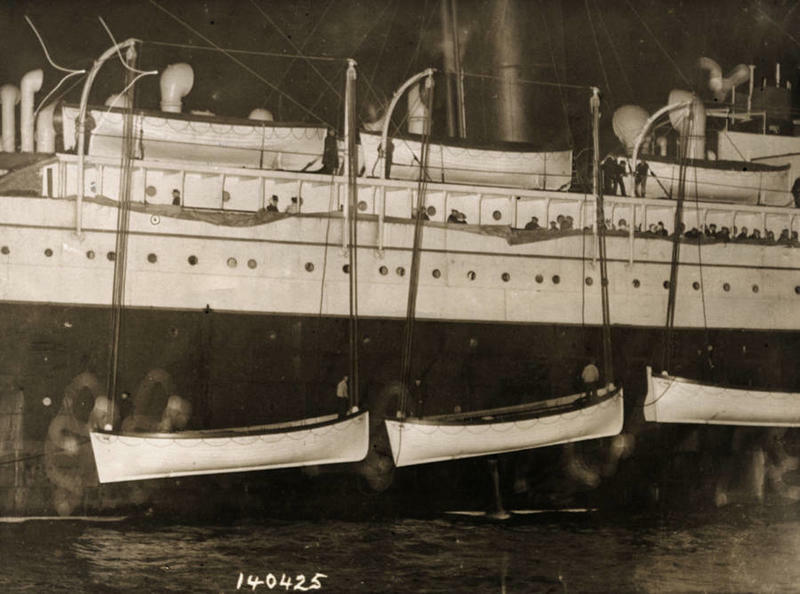 She later said that she was in the last lifeboat to leave, but it is believed that she was actually in lifeboat 11 that was filled with 72 people. 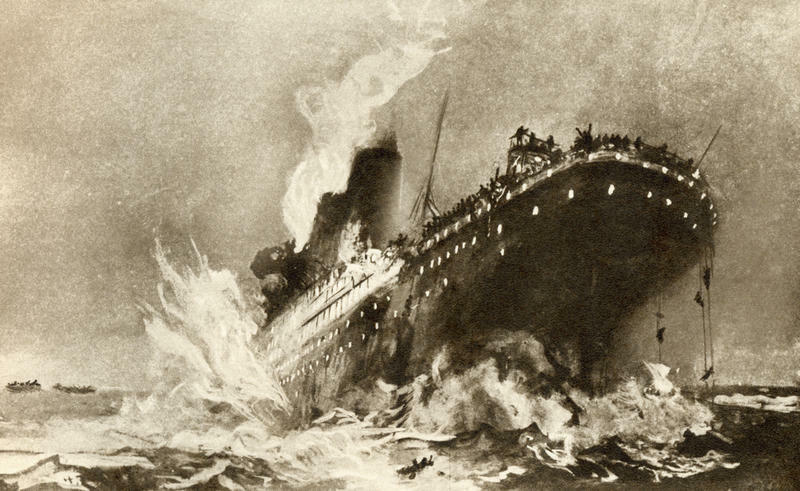 Maude described the final moments of the sinking of the ship and said she heard the band play “Nearer My God to Thee.” The next morning, she said she saw lots of icebergs all around and told how some of the survivors were expressing disgust that “common” crew were rescued, while their husbands were lost. Maude passed away in 1967, one day before her 86th birthday. Eleanor Johnson Shuman, pictured in the center, was only 18 months old at the time of the Titanic disaster, and her brother, Harold, on the right, was not much older, but all three survived. Alice and her two children were visiting family in Europe (Alice’s sister house). If it had not been for the children having chicken pox, they would have left sooner, but they had to wait until they were well enough to travel. For this reason, they stayed there in Finland for nine months. Alice’s husband was not on board the Titanic but was frantically waiting at home for them. The local newspaper even reported that they had died. 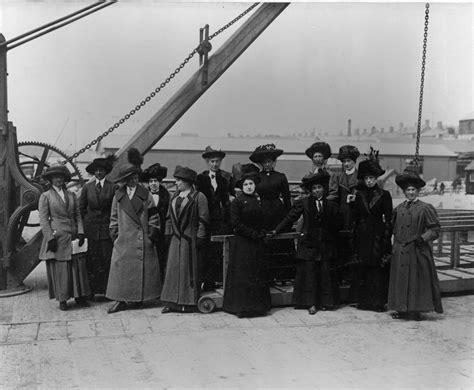 Elizabeth Shutes – a family governess was 40 years old at the time and she was quickly ordered to go to the Sun Deck once the ship hit the iceberg. Shortly before being rescued by the ship, Carpathia, she spoke about the chaos on the lifeboat. She described how the men did not know anything about the position of the stars or how to pull together. Their hands were too cold to hold on and two oars went overboard. And then, she said, there was the painful wailing of the people drowning in that icy cold water. She was just one of many who commented on the misplaced priorities – not enough lifeboats and too many luxuries. Laura Mabel Francatelli – a 30-year-old secretary who came from London, spoke about Carpathia arriving on the scene. She said, “at daybreak when we saw those lights about 4 miles away, we rowed like crazy, passing icebergs until at last, the boat picked us up.” Looking like a speck up against that big boat, they lowered a rope swing. She talked about how afraid she was when they were pulling her up, as she looked down at that water and she was just swinging back and forth. She said she closed her eyes and held on tight until they pulled her into the boat. Charlotte Collyer – She was a 31-year-old second class passenger. As she arrived in New York City after being rescued by Carpathia, she frantically began to search for her husband, just like everyone else who was searching for their loved ones. She said there was hardly anyone who wasn’t separated from their loved ones. Hopeful that he had been in one of the boats, she was sure she would find him there, but unfortunately, she did not. Lawrence Beesley – Leaving his young son at home, he was a science professor from London and young widower, who had boarded the Titanic with the hope of visiting his brother in Toronto. He said that he will never again say that 13 is an unlucky number, for that is the number of the boat he was in, and it was the best friend they ever had. 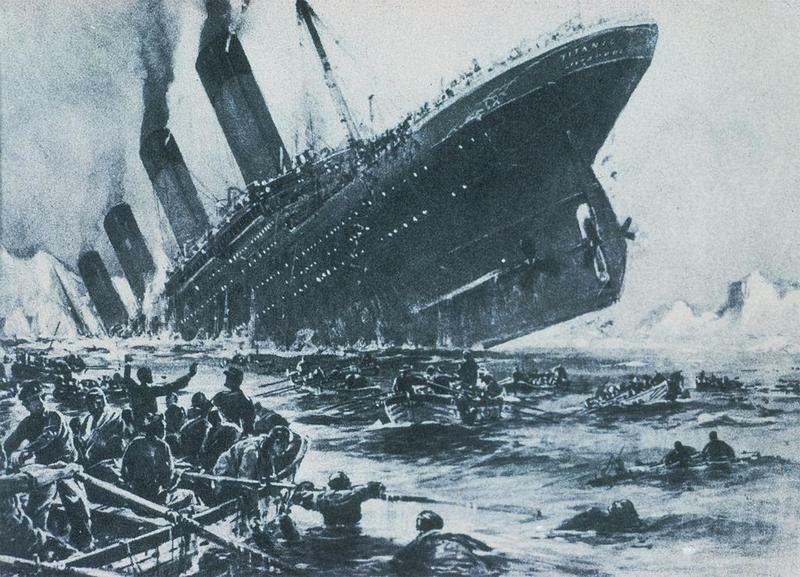 "The RMS Titanic sank early in the morning of April 15, 1912,"
NO the ship that sunk that night was the Olympic. Please take a little time from your horribly propagandized life and learn the TRUTH. This evidence is incontrovertible.